Gelora Bung Karno Stadium is a multipurpose stadium in Jakarta, Indonesia which is part of the sports complex Bung Karno Stadium. The stadium is commonly used as an arena football game at the international level. 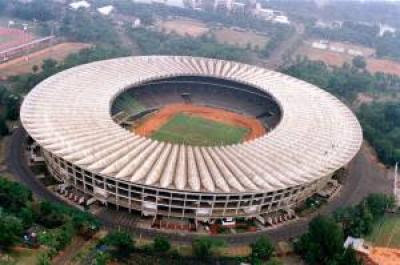 The stadium is dinma to honor Sukarno, Indonesia's first president, who is also a figure who sparked the idea of ​​building this sports complex. 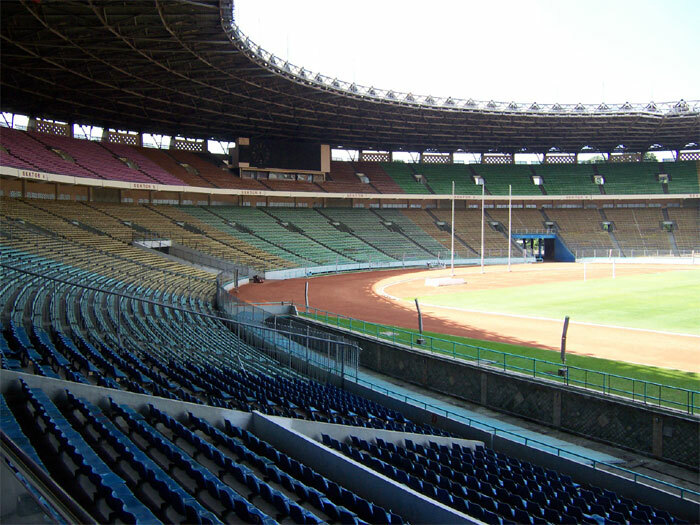 In order to de-Soekarnoisasi, the New Order era, the stadium name was changed to the Stadium Utama Senayan. After the passage wave of reform in 1998, the name of the stadium was restored to its original name through Presidential Decree No. 7 / 2001. With a capacity of about 100,000 people, the stadium which was built in mid 1958 and its first phase completion in the third quarter of 1962 is one of the largest in the world. Toward the Asian Cup 2007, made ​​renovations to the stadium that reduce the stadium capacity to 88,083 spectators. Its construction financed with soft loans from the Soviet Union amounted to 12.5 million U.S. dollars a certainty obtained on December 23, 1958. And of course with substantial funds that it makes this sport galanggang as the largest football stadium in Indonesia.Hingga today, Bung Karno stadium was the only truly international standard in Indonesia.